Zinedine Zidane has paved the way for a return to management by admitting he expects to take another coaching job soon. 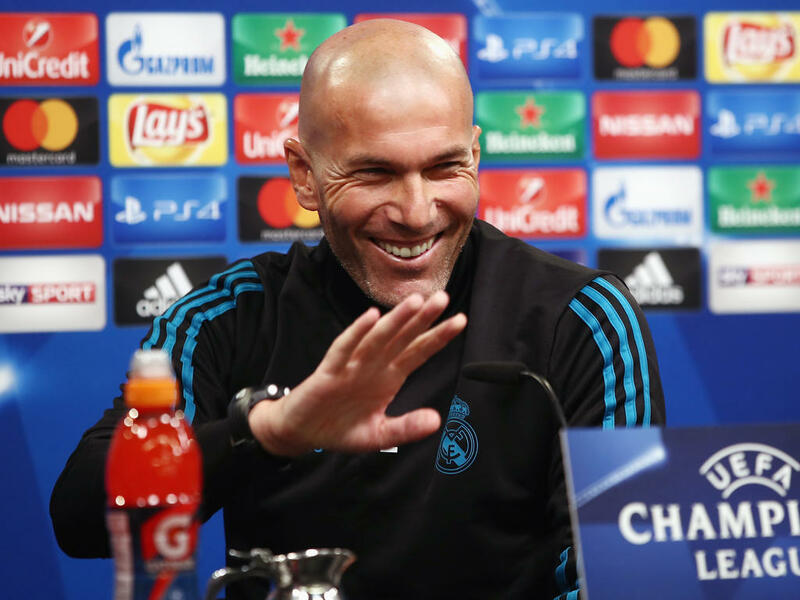 Zidane made the surprise decision to leave Real Madrid at the end of last season, five days after leading the club to a third consecutive Champions League title. The Frenchman said he believed change was needed for the team to "keep winning" but, despite a disappointing final La Liga campaign, he left with his reputation sky-high. Manchester United have been linked with a move for Zidane, with Jose Mourinho's position at Old Trafford increasingly uncertain. "Surely I am going to return to coaching soon," Zidane told Spanish broadcaster RTVE on Sunday. "Because I like it and (football) is what I have done my whole life." Zidane began coaching for Castilla, Real Madrid's B team, in 2014 before taking charge of the first team in January 2016 after Rafael Benitez was sacked. He led Madrid to the league title the following year but failed to replicate that success domestically last term, as Los Blancos finished third, 17 points behind Barcelona.